Like this past spring and summer, I plan on making the most of my time abroad this fall. I already have several trips planned for the semester. I always advise students who are studying abroad to make the most of the affordable travel Europe has to offer, which is exactly what I am planning on doing! My first stop is Santorini! Santorini has long been on my bucket list and when Vueling had their end of summer sale and I saw that I could fly direct from Florence to Santorini for ridiculously cheap, I pounced. And because September is the end of tourist season, I was also able to find accommodation at a reasonable price. So brace yourselves for all of the blue and white pictures on Instagram. Before summer comes to a close, I also want to visit Croatia. I will be traveling with FlorenceForFun, who does an amazing trip that includes touring Split, island hoping along the coast, and a visit to the incredible waterfalls at Krka National Park. I had so much fun at Springfest last spring, that I just have to check out Oktoberfest. Plus I need an excuse to wear my adorable dirndls again! While I am not a big beer drinker, the atmosphere is super fun and I love the city of Munich (they have a Dunkin in the train station!). I can't believe that since arriving in Italy seven months ago, I have not been to Venice! Venice may not be my favorite Italian city, but it certainly is special and unique. I am also really excited to see the city when it isn't super crowded and hot (a.k.a all summer long). Not sure if I will take a day trip or splurge for an overnight stay. Venice is a different city in the evening and early morning, so if my time and budget allow, it will definitely be worth spending the night. Now, you are probably thinking, "Paris, again?" Yes! 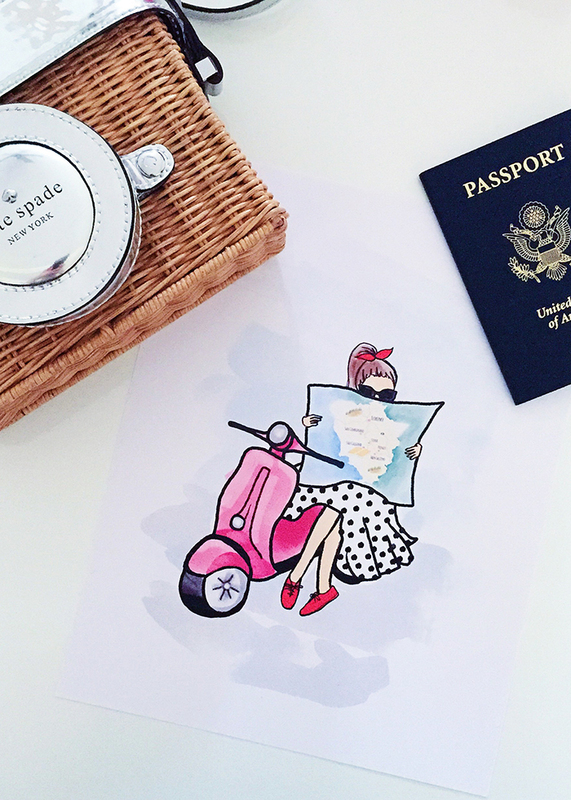 Because Paris is always a good idea! I just happened to have enough skymiles to get my best friend Britt to Paris in November. We are so excited to spend a week together in our favorite city! Scottland is still in the wishful thinking/planning stages, but I have a friend in London who wants to do a weekend trip with me to the highlands. Much of my family is Scottish, so I have always wanted to see it. Another quick weekend trip in Italy, Procida and Ischia are picturesque little islands that sit just off the bay of Naples. I can take the high speed train to Naples and catch a ferry to Ischia. I thought it would be a fun little weekend away, but still close to home (like Venice). Have you been to any of these places? Please share any tips you might have! PS - There is another dream destination that I am desperately trying to make happen, but it might be too costly and difficult. But if it does happen, I will be sure to share!